Come fly into The Florida International Rally & Motorsport Park (The FIRM) at Keystone Heights Airport. The FIRM provides drivers, enthusiasts, and spectators the most unique and diverse motorsport facility in North America. The motorsport park provides a 420 Acre off-road playground, and a dynamic 1.6-mile race track; with esses, and hairpin turns to challenge even the most experienced race car drivers. The combined tracks and trails create unlimited track configurations totaling over 20 miles of driving bliss! Our exceptional instruction is tailored to corporate goals for a truly personalized corporate experience. The FIRM offers immersive learning, and customized course experiences, with unlimited combinations of fun! We can create the perfect corporate experience for your budget! We have mini-packages for half day events, up to full (2) two-day events depending on how many activities you want to be included. These package combinations are suggested for the lowest price option but can be expanded to meet your budget and desire! See our lodging and airports options here. RallyPro Performance Driving School at the FIRM provides world-class rally driving instruction. In this course, you will get down and dirty with rallycross racing on our unique off-road rally stages. Think stunt driving scenes – a high-speed chase starts on the road, drivers dodge obstacles and may skirt off-road through tree-lined paths only to zip back across pavement. The winner is the most skilled driver who gets away safely! Now you get the highly technical driving skills required for rally. It’s fast. It’s technical. It’s a total rush! You will learn how to react quickly, at high speeds and under immense pressure to test your endurance for that next corporate challenge! The RallyPro performance road racing courses at the FIRM offers the thrill of a lifetime. No traffic lights. No stop signs. Go up to 100 miles an hour on our 1.6-mile road course. 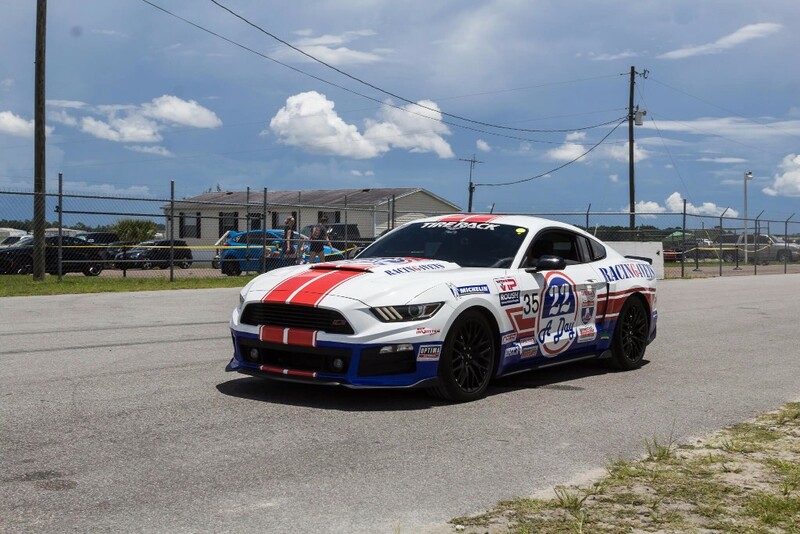 You will get to explore and push the limits of your driving skills, at one of the most diverse and challenging motorsport parks in North America. This is what it’s like to be totally immersed, so your mind is fresh with that new corporate agenda! 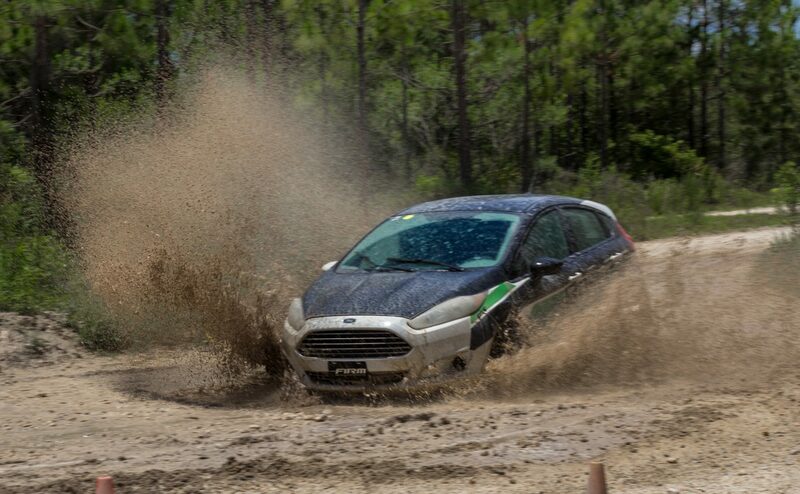 The RallyPro off-road driving courses at The FIRM are a ton of fun! The FIRM features a diverse playground for every skill level. Our rock garden provides uphill, downhill and side tilt articulation obstacles for a true safari experience. The FIRM also has miles of diverse courses across sand, through wooded trails, and wet marsh areas perfect for winching and recovery drills that are down right dirty! Get dirty. Have fun. Learn to enjoy the bumpy ride of life as a team! A little shy? 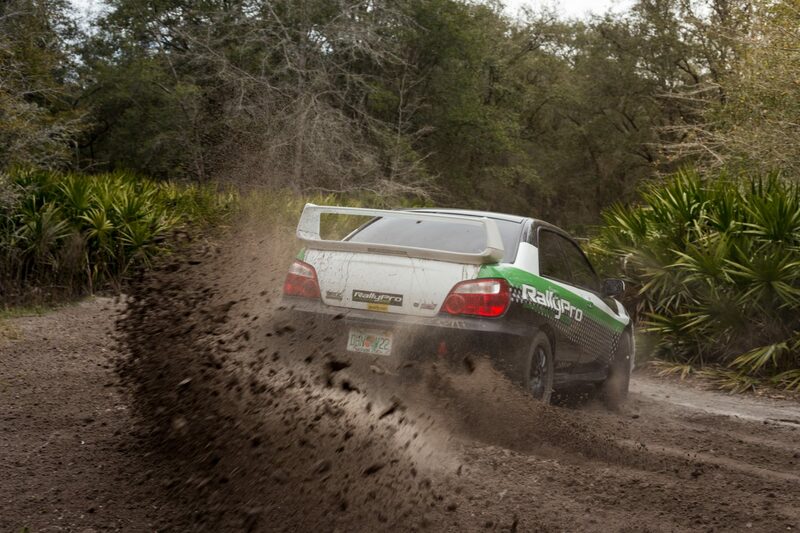 No worries, get strapped into one of our race prepped STI stage rally cars. Then let our RallyPro instructors take you for one of the most exciting high speed adventures of your life! You will be reaching speeds up to 80 mph while racing through narrow-tree-lined paths. This is not for the faint of heart. Sometimes goals scare us, but we realize on this experience, we just need a good leader to get us there! Be a race car driver for the day! Come share the same race track drivers for teams like Subaru, Pelfrey and Junco enjoy. You can come live the dream now. 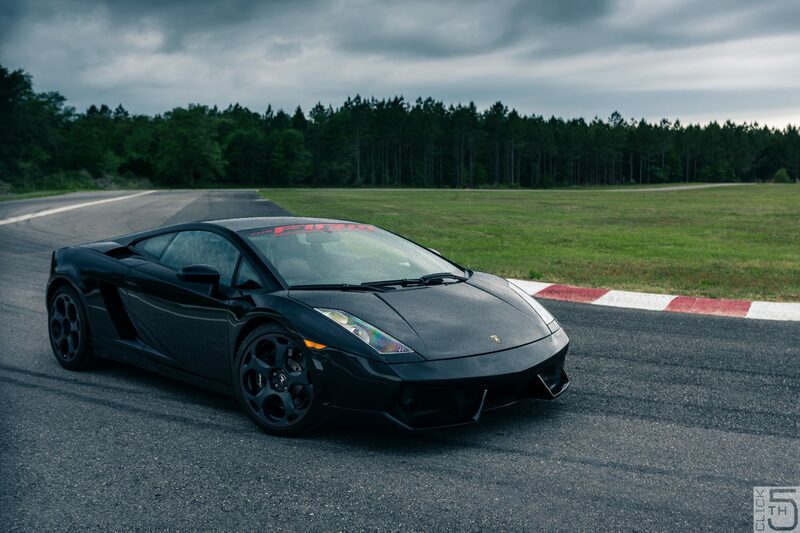 Choose from a Lamborghini Gallardo, Nissan GTR, or race prepped Subaru STI on our private 1.6-mile race track. Explore hairpin turns and esses, at a track that humbles even the most seasoned drivers! In order to hit goals, we need some downtime, to give our creative inspiration a chance to come alive. Your mind will be totally focused on this fun experience and ready for new ideas! 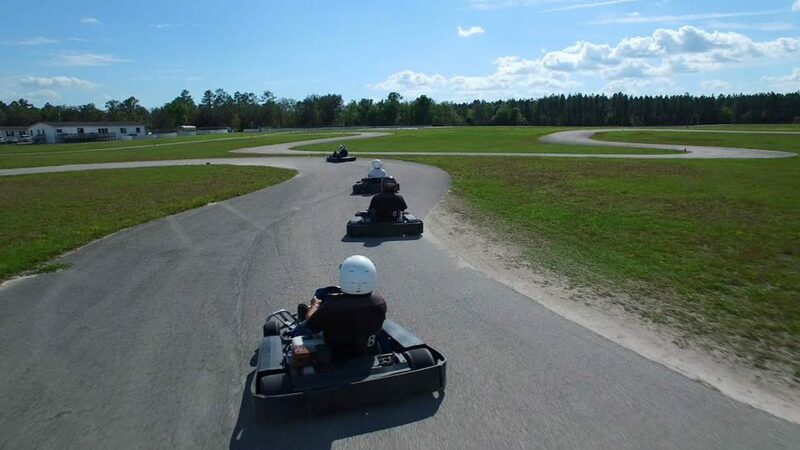 Go-Karts are a great way to race against your friends and coworkers. Wheel to wheel action fun for everyone. I mean who doesn’t like Go-Karts? Drive the limit on our ½ mile paved race track with many challenging turns and exciting straights for that perfect photo finish! Sometime we just need a little fun to make work joyful! Still want more? 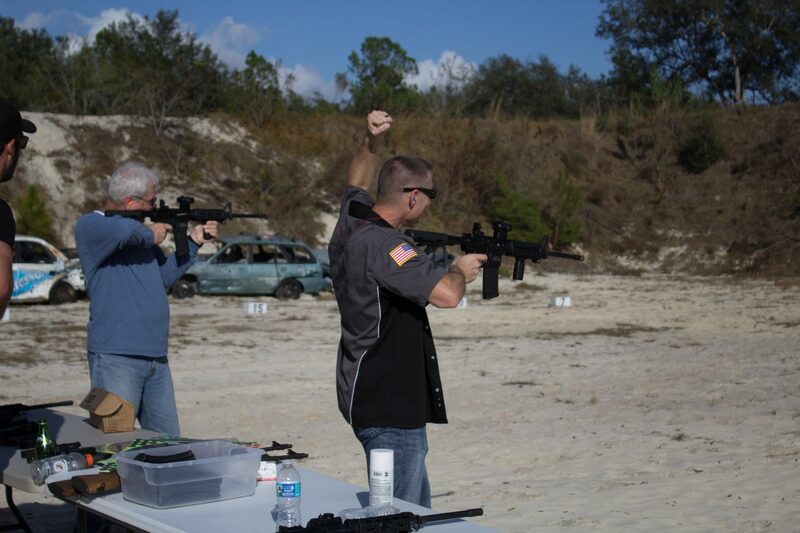 Going to a shooting range can be a stress-relieving adventure. Beside the total rush, shooting also offers physical discipline, increased mental focus, builds confidence and sharpens hand-eye coordination. Learn to hit your corporate goals with precision! 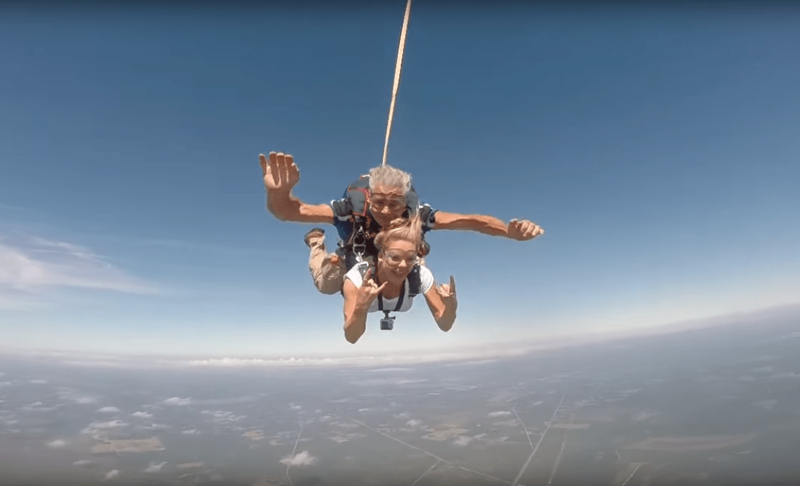 Ready to take the biggest leap ever for your next corporate challenge? We provide this thrilling opportunity to conquer your fears and experience something incredibly beautiful. Often the hardest part of taking on that new challenge is the initial leap. This just is not only breathtaking but you can land on both feet gently. Congratulations! You’re on your way to an amazing day. Here’s what you need to know! Please eat a good breakfast and arrive at 8:30 AM for sign in. Once you arrive at gate G-2, please use the phone by the gate to call the office, and so our team can buzz you in. Please bring your driver’s license with you. Be sure to wear a long-sleeved shirt, long pants, and closed-toed shoes. Racing suits are available if needed. Personal helmets are allowed if they are an SA-2010 or newer, but use one of ours if you would like to have in-car communications with your instructor. Our customers are welcome to make use of their own GoPro or similar equipment. We have camera mounts available if needed. Snacks and drinks are for everyone. Lunch is complimentary for full day courses and $15.00 for half day courses or guests if you wish to dine with us. If you are attending any of our Off-Road or ATV/UTV courses, plan on bringing a change of shoes and clothes. You will get dirty. While guests are welcome, please understand that they will not be able to ride or drive in any of the activities. Our school vehicles are predominantly manual transmission equipped. If you are not able to use a manual, no problem! We will teach you how to drive a manual transmission car as part of the course. The Action Package will be sent via digital download with 25-40 photos only for $99 or with photos and video for $199. Turn onto Airport Road and go approximately 1/4 mile. Look for the black “FIRM/RallyPro/ISA sign on the right. Turn left at the FIRM sign and you will see an airport gate marked “G-2”. Call the main office at 352-473-2999 and we will open the gate for you. When the gate opens, pull forward and turn left onto a gravel road. Drive approximately 9/10ths of a mile and you will see our complex entry gate. Park in front of the white building with the FIRM/RallyPro/ISA signs on it. All vehicles you use at the RallyPro Performance Driving School at The FIRM must be fully covered for damages or you must post a damage deposit as described in our Vehicle Damage Agreement. If you have any special needs just let a team member know, we are here for you! Thank you for choosing the RallyPro Performance Driving School at The FIRM.